6000+ Positive Feedback. Premium Service 10g to 100g! Add 2 or more tattoos by using the "add to basket" button. Then go to your checkout. How to apply Temporary Tattoo. How to Remove Temporary Tattoo. 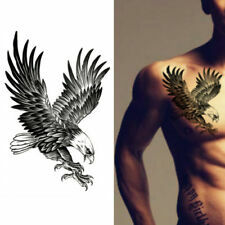 Place Tattoo on arms, neck, hands, back, leg, chest. 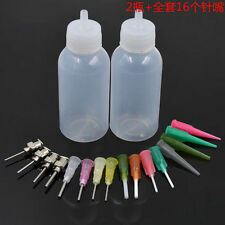 Anyone can operate the process using tattoo glue and tissue paper and any other simple facilities. Material: Tattoo Paper. Press the "TATTOO"face down on skin;. Size:25 36 cm. How to apply The color may have different as the difference display,pls understand. 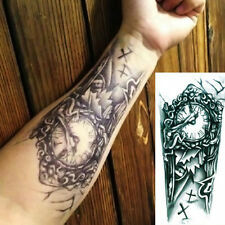 Temporary Tattoo Black Gothic Clock. Shock your family, friends or work colleagues with these very realistic fake temporary tattoos that can simply be put on your body to give the illusion of having a real tattoo. 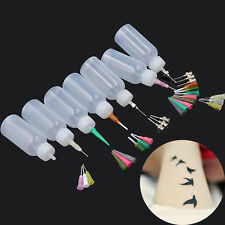 4 Extra Large Flower Temporary Tattoo Sticker Full Arm. Easily to remove by scrubbing with water or baby oil. If you are unhappy with the item for any reasons. Material: Transfer paper. With a wide range, good quality, reasonable prices and stylish designs. If you like the look of tattoos but you're not quite ready to step into the tattoo parlour, then temporary tattoos can be a great way to play around with body art. Just want to have fun? You'll find plenty of novelty temporary tattoos ideal for parties and festivals and also child-friendly options that wash off. 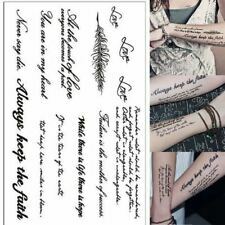 Tattoos on transfer paper are a great option because of the wide variety of designs available. If you're unsure of what type of temporary tattoo to go for, looking through what's on offer can be a source of inspiration. From delicate floral designs to ornate pieces covering a large expanse of skin, there's something to suit everyone's taste. You can also find temporary tattoos to suit a particular theme such as gory tattoos for Halloween which look like all kinds of painful wounds. Also available are temporary face tattoos made to look like face painting which would be perfect for a fancy dress party to really bring your character to life. If you're thinking of having a permanent tattoo but you want to see how it might look before committing then why not go for a temporary sleeve tattoo? Available in a choice of designs and in black or colour, this temporary option lets you get used to what your arm might look like with the real deal. If you want something that isn't just a tattoo-lookalike then a glittery temporary tattoo is the perfect option for you. 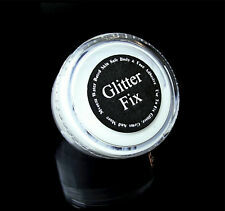 Ideal for little girls who like to dress up as fairies or princesses, a glitter tattoo adds a touch of magic to body art. 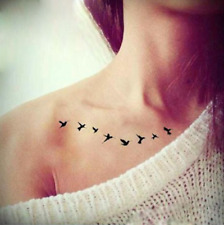 There are plenty of options for grown up girls too, with temporary tattoos for the body, face and even hair on offer. If you are off to a festival or even just out on the town then a temporary glitter tattoo is an alternative and eye-catching way to accessorise.